I can just imagine how much this photograph will be loved each and every year of this little girl's life. She is so clearly Daddy's Little Girl and his pride and joy (along with her baby sister, of course). But just look at the giggles and smiles, the way he is holding her hands so tight, and the closeness. The height difference will shrink in future years, but even when she is twenty, I can just image Dad and his girl rubbing their noses together and giggling. 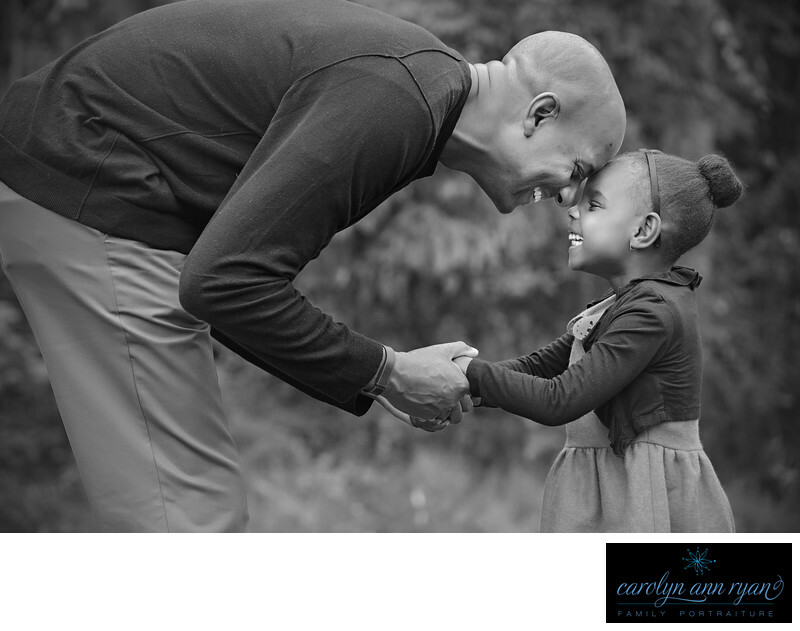 Keywords: b&w (51), black and white (54), Charlotte NC (180), Family (171), Father and daughter (9), giggles (105), sweater (60), sweaters (57). 1/320; f/5.0; ISO 1000; 130.0 mm.